Russian women are very popular among men from the west and each year, thousands become their beautiful brides. 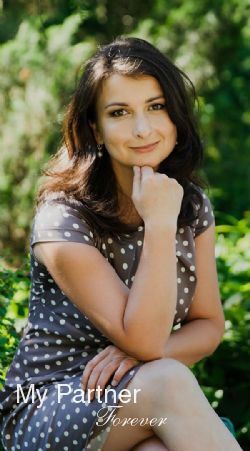 Single women from Belarus, Moldova, Russia and the Ukraine are family oriented and they seek a man for a long term relationship. Looking at Russian brides in a magazine or on a web page, it becomes clear that women from Russia are generally very attractive and make beautiful brides. The fact that women outnumber men by approximately 10 million certainly explains part of this phenomenon. It creates a competition among single women. In order to get the attention of an available man, they need to be very attractive and dress in an elegant way on a daily basis. The demographic imbalance in Russia and former USSR translates in a lack of available men for marriage. This, in big part, explains why so many single Russian women are seeking a life partner from outside their own country. Otherwise, many of them are simply doomed to remain single. Besides offering an outstanding beauty, Russian women still believe in the traditional family values. This is exactly what single men from many countries of the west have great difficulty to find in their local women. These facts alone, exquisite beauty and traditional family values, largely explains why so many men from all over the world are seeking a Russian bride. What about the Language and Culture Differences? Can it Really Work? How do These Couples Manage? Unless your Russian fiancé, or Russian wife, speaks good English, it is quite a challenge to overcome – and this challenge takes place right from the start. In some way, it can be viewed as a test that will show how motivated and how sincere are both parties. And of course, only the full involvement and commitment of both parties can overcome this first big challenge. If your Russian lady speaks some English, it is a good head start as you can communicate without the help of a third party (translator). If she knows very little, or none at all, English, then you have a big challenge ahead of you. However, challenges are what make us stronger and better. Wouldn’t life be dull with challenges? Since communication is a key element in any relationship, both parties need to invest themselves in winning this challenge as quickly as possible. Among the solutions are hiring a tutor, attending classes, lots of homework and of course, lots of patience, dedication and love. The cultural differences, on the other hand, will not be such a challenge to overcome at the beginning. They will be present, they will trigger some misunderstandings, they will make you discover how different you can be on many aspects and, quite frankly, this is part of the beauty of international relationships. Cultural differences will part of your life, and for the rest of your life. Again, with respect, understanding and love; they will not only be overcome, but they will make both parties discover a whole new universe and a different way of seeing things. Why do so Many Russian Girls Want a Foreign Husband? What about Scammers? How to Avoid Dating Scams? The main reason why do so many Russian girls look for a foreign husband is quite simple: it is because of the shortage of available men in their own country. In some cities, there is a ratio of 2:1 single women for every single man while in some cities; this ratio climbs to 5:1. Given that a typical Russian girl wishes to find her man and to create a family at her early adult life, many will soon realize that their dearest dream may take a long time to occur, or worse, it may never happen. This demographic imbalance led many girls from Russia and other former USSR countries to look for a life partner from other countries. Although, they are mainly looking for a good husband, his financial situation and country of residence are important factors as well. Which we believe is quite normal. After all, who would leave his / her country to move with someone who is poor and / or living in a country without good economics and stability? This, in part, explains why so many Russian girls end up joining their fiancé, or husband, in countries of the west. As in any situation or sphere of life, there will always, unfortunately, be people who see an opportunity to make easy money while abusing and deceiving other people. In this line of business, they are known as scammers and their activities are referred as dating scams. Although, there are many different type of scammers, they can be categorized in 3 types. The first type is those who are trying to get some money without ever meeting in person. These scammers could be anyone and be anywhere. All they need to perform their scam is a computer. They will usually create their profiles on “free dating sites” where they don’t need to meet anyone to register. They will then find some potential victims and keep entertaining them with some letter correspondence while falling in love in a short lap of time. They will then ask their victim to send them money to get a visa, airline ticket or to help a sick child or sick mother. How to avoid being scammed by such scammers: don’t ever send money to anyone who you never met in person. The second type is those who exist for real, they present themselves with real pictures and will play the game to some distance. As in the first type, they will soon fall in love with their victims but the difference with the first type is that they will invite the man to meet them in their hometown. They will usually choose victims who reflect a good financial situation as their main goal is to have their victim buy them all kinds of goods, including nice clothes, jewelry, electronics etc. and also, they will invite their victim to invite them on some vacation where it is warm and beautiful. Usually, after all of this happened, the man goes back home and the lady tells him that she suddenly fell out of love and worse, he can never communicate with the lady again. How to avoid being scammed by such scammers: as the saying goes “if it is too nice to be true, it is probably not true”. In other words: if you wonder how she could fall in love with you so fast or why would such a young beautiful woman fall for you – you should consider developing this relationship deeper before purchasing gifts or spending a little fortune on vacations with her. The third type is those who are looking for a way out of Russia and have the patience to marry someone, with the sole intention to move in his country, knowing that a divorce will follow. These scammers are obviously very patient. One way to avoid them is to mention that the wedding will include a “prenup” contract establishing that what is your is yours and what is min is mine. If she is a scammer, it will cool her down considerably. Overall, remember that a scammer wants money. Also remember that a typical Russian woman is proud and will never ask for money. Keep these two elements in mind and it should greatly help you to avoid being scammed and moreover, to guide you in the right direction towards finding your Russian bride. Overall, dating Russian women is quite similar as dating any women, in many ways. You need to ask yourself serious questions towards what precisely you are looking for in a future life partner, make a list of those questions and answers and, as much as possible, stick to those criteria. In other words, if you wish to meet a woman without young children, stick to this, even if she is incredibly beautiful. Otherwise, you will probably hurt yourself and hurt her as well. One of the main differences in dating Russian women is that, because of immigration laws, you will not have the opportunity to date each other for a long period of time without getting married. 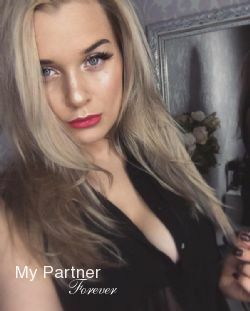 But then again, if you are reading these words, it may probably be that you have already done this “long term local dating”, that it did not work for you and that you are now ready for a serious relationship – thus, looking for a Russian bride.